This post is sponsored by McCormick. All opinions are, as always, 100% my own. Every family has a collection of recipes, however big or small, that are staples among the family’s cooks. Our family has a few, many of which have come from my grandma or great-grandma. For instance, my grandma’s cranberry relish and sausage egg soufflée are two recipes that I can’t imagine going through the holiday season without. 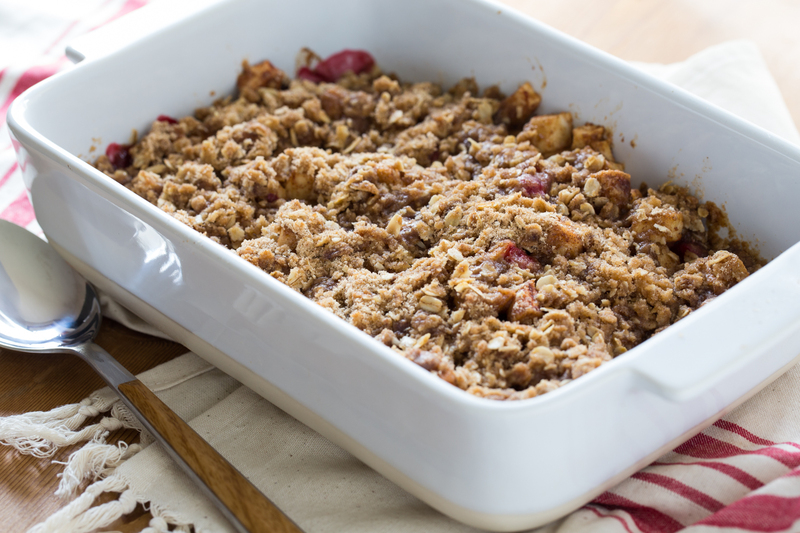 My grandma’s Apple Crisp is another of of these recipes. 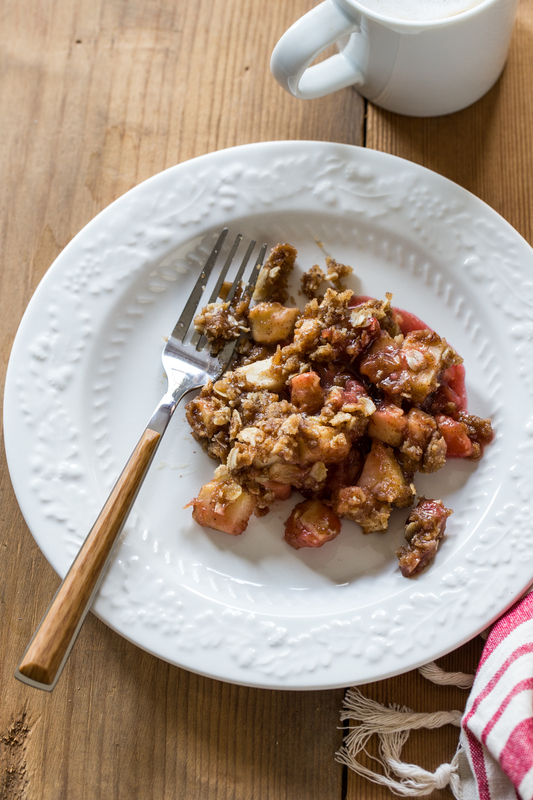 I have played around with her recipe a few times over the years and this Cherry Apple Crisp is just a slight variation of her original dessert. 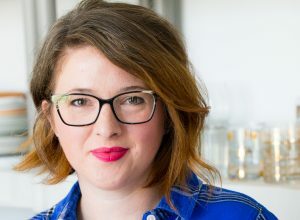 I have had the pleasure of partnering with McCormick for the last couple of years and it is a partnership that is incredibly natural and dear to my heart. My cabinets have been filled with the lovely red capped spices and extracts from the time I was a little girl. I remember baking cookies with my grandma and mom and going through many a bottles of McCormick Vanilla extract. Cinnamon, all spice, ginger and anise are flavors that bring me back to my childhood baking days. Now that I have my own kitchen, I love recreating the recipes from my childhood, particularly around the holidays. 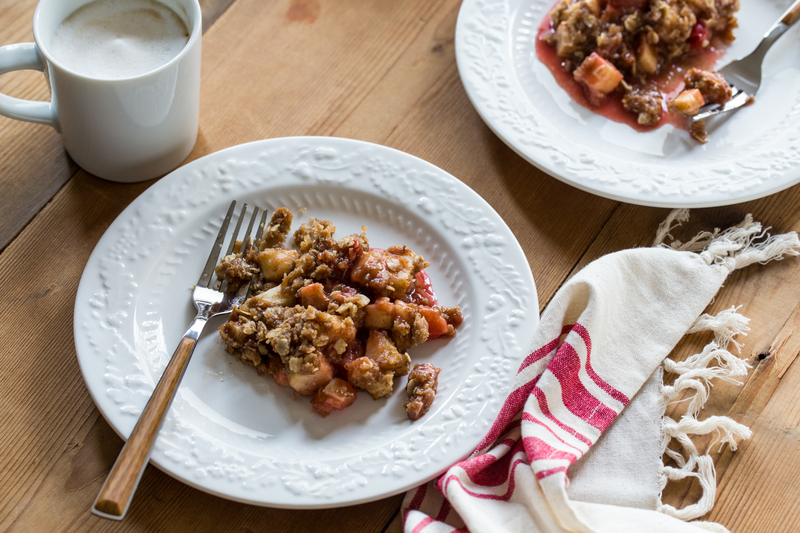 This Cherry Apple Crisp has the same flavors of my grandma’s recipe with the addition of a few frozen tart cherries for color and a burst of tart-sweetness. I have swapped the cinnamon with Apple Pie Spice which is a blend of cinnamon, nutmeg, and allspice. 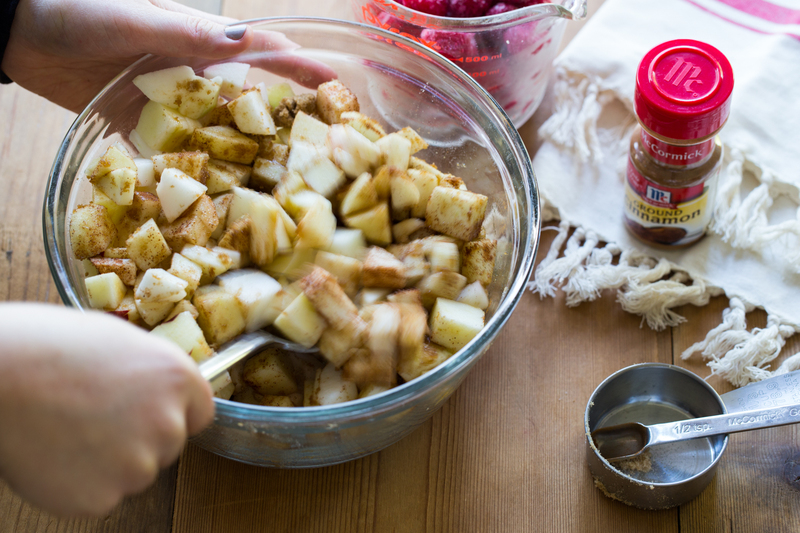 A touch of McCormick Vanilla Extract finishes adds some warmth to the fruit filling. This entire recipe can be put together in 15 minutes before popping it into the oven. 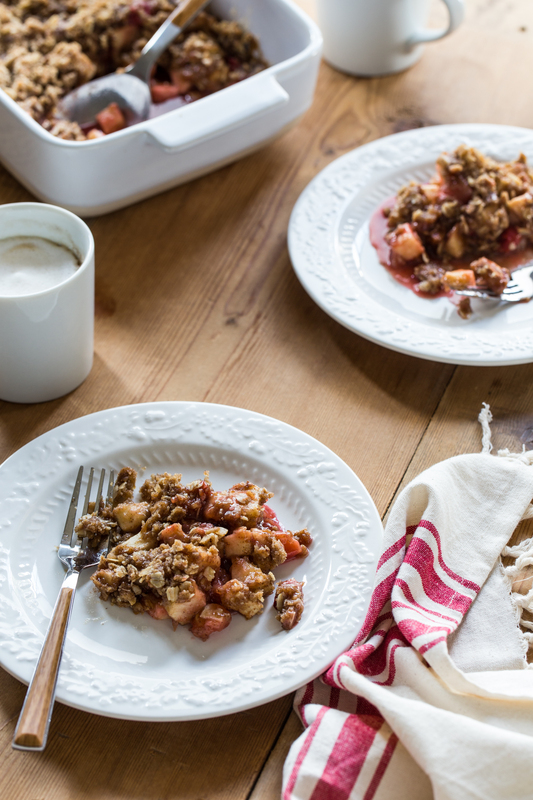 It has the flavors and comfort of apple pie, but without all the fuss of making a crust. This is a dessert that shows up at our family gatherings from Halloween to Christmas and beyond. It has been a favorite of mine and is now a beloved recipe of my two kiddos. There is something about a recipe with a history that makes it so much more special. Those are the perfect kind of recipes for the holidays, don’t you think? 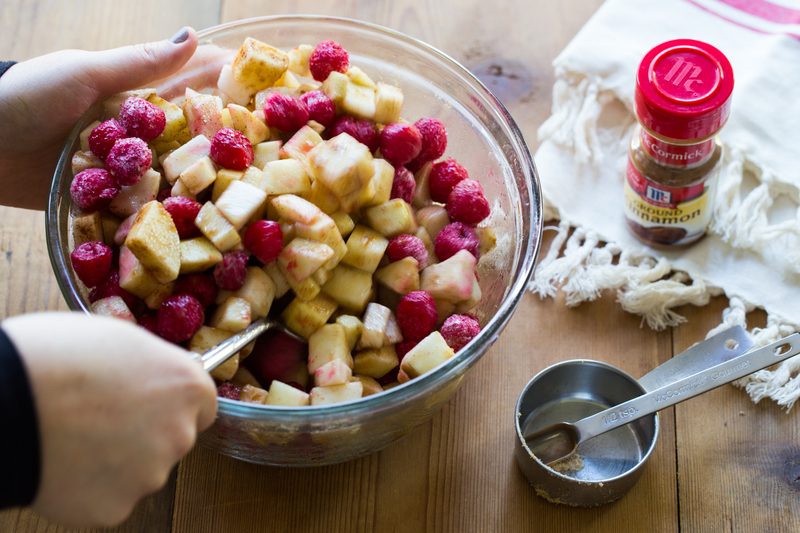 In a large bowl, stir together apples, cherries, and the remaining filling ingredients. Spread into a 9x13 inch baking dish. Set aside. 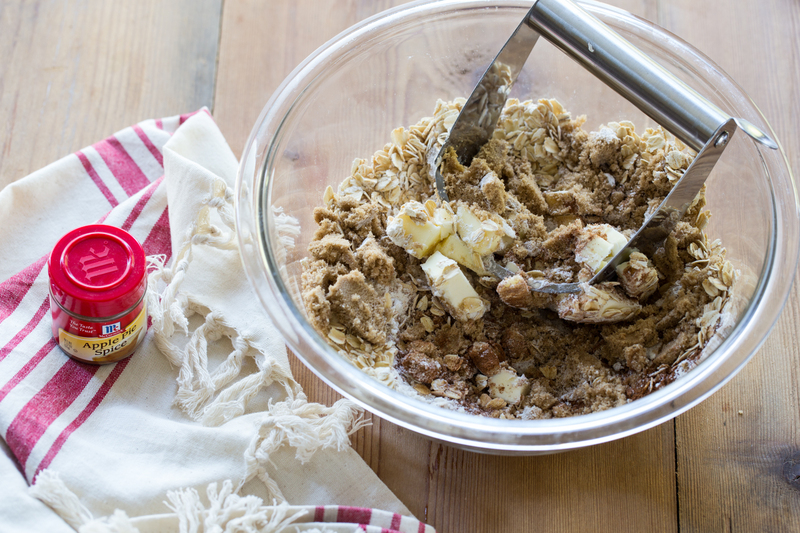 In a second bowl, use a fork to stir together flour, oats, light brown sugar, and apple pie spice. Add butter to the bowl and use a pastry blender or two butter knives to incorporate it into the dry ingredients. Butter should be crumbly and the size of pieces when finished. Sprinkle topping evenly over the fruit. 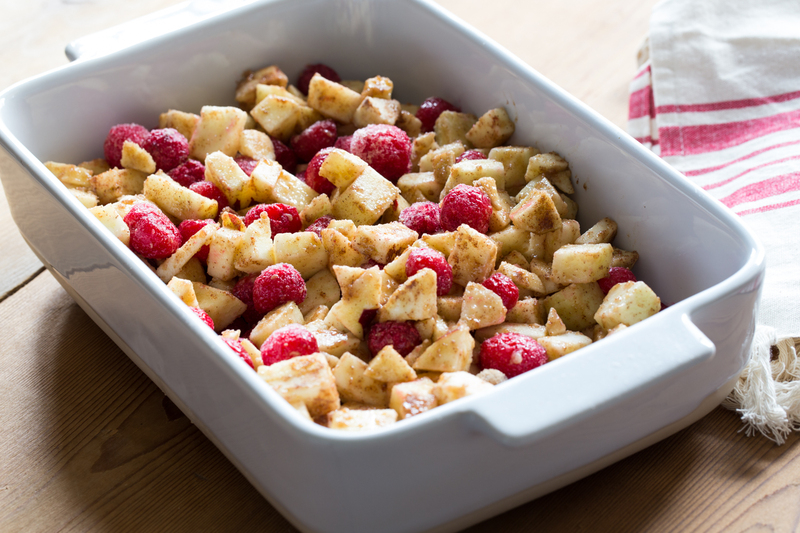 Bake for 40 minutes or until fruit is bubbling and topping is golden brown. Allow crisp to cool slightly before serving. 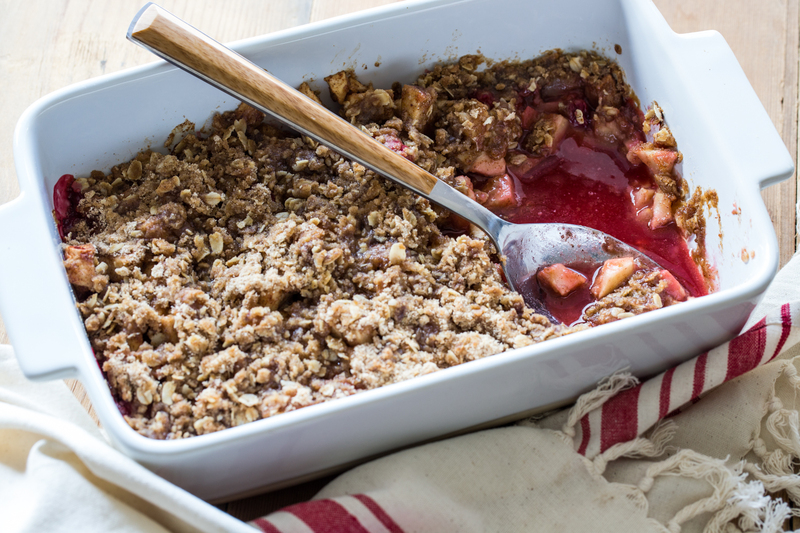 Cherry Apple Crisp can be served warm or room temperature. I think there is an error in direction #3. Butter should be crumbly and the size of “pieces”?